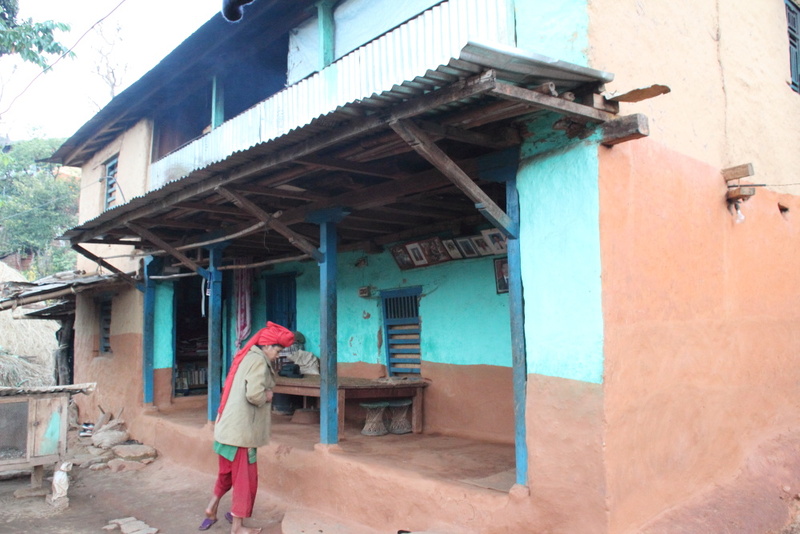 Bishnu’s family’s house, which is no longer theirs. COMMITTED has been supporting with the education of Bishnu Khadga and her siblings for over two-and-a-half years. You can read about how it all started in October of 2013 here. Details of the support we provided part of that academic year (i.e. October 2013-April 2014) you can find here. Details of the support we provided the year before last, 2071 (2014-15), here following my adventurous journey to visit the family and a fundraising (and awareness) campaigns to support the education of siblings and children of dead Nepalese migrants. 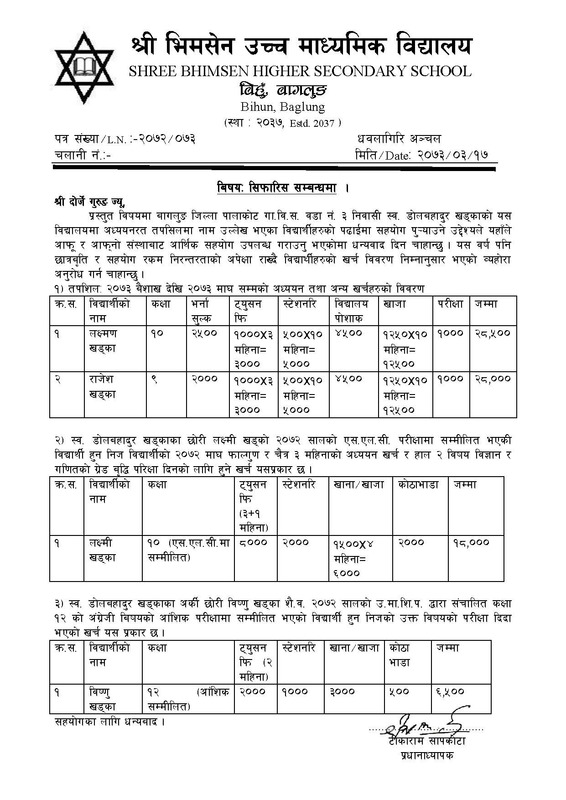 Finally, you can find the details of the support we provided last year, 2072 (2015-16) here. We finally received the details of the expenses for this academic year only just last week! Thanking COMMITTED for the support already provided, the letter goes into the details of the costs and expenses. Late Dol Bahadur Khadga’s daughter Laxmi Khadga appeared in the 2072 [Spring 2015] SLC [High School Diploma Examinations]. The following are the details of the expenses incurred during the three months prior to the examination — Magh [Jan.-Feb.], Fagun [Feb.-March] and Chaitra [March-April] — and the expenses she will incur when retaking Science and Mathematics examinations are as follows. Another daughter of late Dol Bahadur Khadga, Bishnu retook the class 12 English examination in 2072. The following details the expenses incurred. So, total support needed for the two school-going children for the entire year excluding uniform: 24,000 + 23,500 = Rs. 47,500. Monthly deposit (for 11 months) (47,500/11) =Rs. 4,318.18. By the end of the academic year, the end of 2073 (middle of April 2017), the children will have been provided with a total of Rs. 81,500.